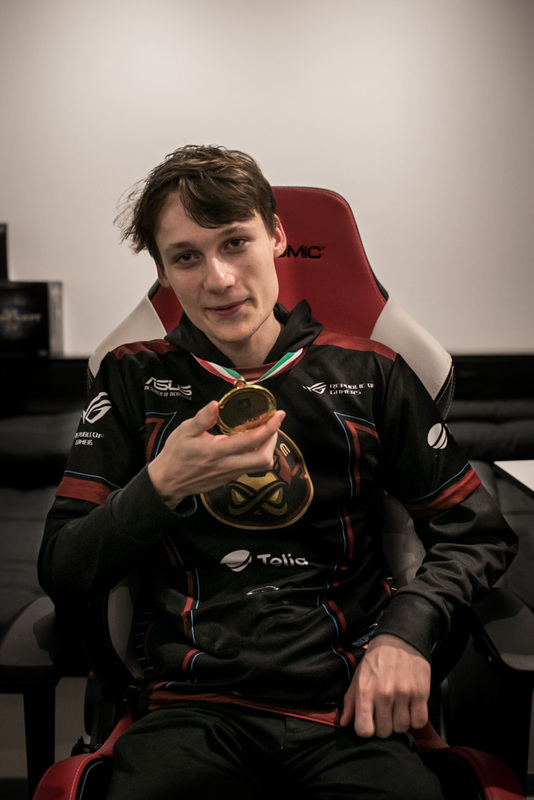 Last weekend at HomeStory Cup XVIII, our Editor in Chief, Olli, got to chat with a triumphant Serral after the Grand Finals, talking about his ambitions and plans going forward, who to trust for secret practice games, the new balance patch and much more. Olli: Hi Serral, nice talking to you after you just won HomeStory Cup. The first question I have for you is: 2018 is done in terms of tournaments and you won pretty much everything… what’s next? Serral: Well, I didn’t win any IEM tournaments, so getting one of those trophies wouldn’t be too bad, and obviously I want to chase the same titles for next year as well and I am going to try to repeat the same I did this year, but I think it’s going to be very hard. Olli: There’s a phenomenon in sports and maybe esports as well where, if someone wins a season or a very big title, they can find it very difficult to keep up their motivation. All year long you have not had that problem. But now, for the first time in a while, there’s a bit of a break between this tournament and whenever the next one is, so how do you keep that fire burning in the meantime? Serral: I don’t think there’s any special way of actually staying motivated, it just needs to kind of come naturally and I don’t feel any lack of motivation right now. I just want to keep going since it’s going well now and I just get motivation from tournaments if I win them or even if I lose. I always get the motivation. But at the same time I am probably going to chill a bit more for the rest of this year, I am going to relax a bit more, because I want to start with full batteries next year again. Olli: So winning and doing well is what motivates you in general? Serral: Well, I have always loved competition and I think that’s one of the things that drives me on and makes me go forward all the time, and every time you get success you kind of want to get it even more, and I feel you kind of get used to it at some point, so you never really want it to drop down. Olli: So you're saying you’ve gotten used to winning tournaments? Serral: *laughs* Yeah, I mean… I would say I know what my expectations are nowadays and I want to win, I guess that means I have kind of gotten used to winning events now and it’s not really that big of a thing for me anymore, but obviously it’s still pretty great. Olli: Last year everyone I talked to told me you were one of the best players in the world, but it wasn’t really showing in tournaments the way it did this year. So if you look back to 2017, what has changed for you since then that now makes you win tournaments instead of just placing highly? Serral: Well, back then I was really inconsistent I feel like and my playstyle was really stale. Actually, I would say my playstyle is still pretty stale, but I do mix in a bit more stuff nowadays, so that has helped me. You know, just kind of getting the consistency somehow. I don’t really know how you actually get it, but that’s what other people struggle with I feel like, and I have managed to get to that point. I think what also helped me is that this year I actually prepared for every match I played very well and I pretty much always had one build for each map, if I had the time to actually do that thinking. Olli: That sounds like it was just a bit of tournament inexperience in the latter stages of tournaments that held you back last year? Serral: I don’t think I can say it was inexperience, I have been playing for such a long time, also playing in LANs. It feels like I played very bad... I mean not very bad, but I played in various tournaments when I hadn’t practiced back then and now this cannot happen. But there wasn’t really any big change, it just kind of happened. Olli: So since you mentioned mixing it up a little now, do you play differently in tournaments than you do in practice? Because a lot of players for example would always do the same thing when laddering and then get blind countered in tournaments. Serral: Obviously on ladder I mostly practice my main, standard styles and of course I am going to use those in tournament play. When I think I am the better player it’s normally just fine to go for the standard games, but maybe do a couple mix-ups. If I do use some stranger builds of my own making then normally I just practice them in custom games and not really show them to anyone except for people I actually trust. So yeah, it’s mainly the same standard plays in ladder and tournaments, but then I have some builds that are not shown on ladder as well. Olli: Who are those people that you trust? Serral: From Zerg, I would say Namshar is the one I normally try my builds with. Olli: Right, he’s a trustworthy guy. Serral: Yeah! As for Terran, there isn’t too many *cheeky smile* but souL, I trust souL. Olli: Why don’t you trust any Terrans? Serral: Well, there aren’t so many… I would trust uThermal, but I never practice with him too much. Like once every two months I play custom games with him. So I would say souL, and from Protoss pretty much everyone. Olli: Are you saying that every Protoss is trustworthy? Serral: *laughs* Well, yeah I think so. Serral: Yeah I don’t know, they feel like they are very trustworthy. Olli: You’re the first person ever to say that. Olli: They might be good people inside, but they’re still Protoss. Serral: *laughs* Actually about that man, I sent my drone too early (E/N: to expand? ), so I figured I would just scout, but it’s very rare that there are barracks just on top of the ramp, normally they are down, but yeah that wasn’t intentional. But obviously the overlord paths are supposed to see the proxy barracks. Olli: I was going to ask whether you feel like you were the better player in a standard game. Serral: Yeah, to be honest I kind of felt like that even though on the first map I lost a long standard game. But I went mutas that game and I am not that experienced with mutas. I think he had some experience playing against them with a widow mine style, I think that’s how he won games all the time a couple years ago, so he kind of played that better, but otherwise I just lost to proxy barracks and won pretty much all the macro games pretty confidently, so in the last game I was pretty confident I’d win a macro game. Olli: Speaking of mutas, Blizzard representatives recently said in an interview that they want to bring back muta/ling/bane. What do you think they have to do to make that viable again as a 'mainstream' playstyle? Serral: Hmm, I think it’s pretty viable right now. I think it’s actually in a very good spot and I think we are going to see now that we actually get down to practice the new patch. I think we'll see a pretty healthy mixture of hydras and mutas coming out and not just ling bane as well. I don’t think they need to do that much right now, just taking a bit of the splash from the thor and taking one armor off helped a lot with the muta play already. Even before the patch you could play that style, hydras are just a bit better, but now that the thor is a bit nerfed and mutas got buffed that way it might be different and I think we’re going to see it more often. Olli: Your opponents in this tournament had the best success against you by just proxying you. Should they proxy you more often? Serral: Well… that’s what they think. But against souL I opened pool first with six lings twice and he didn’t proxy rax me once, but if he would have… (at this point we had a short interruption, as Serral started coughing and needed some water, so we found some and wonder if it’s drugged and how that would affect the interview; you know, normal HomeStory Cup stuff). Proxy barracks are a very good build, but I still like the pool first opening, so it won't always win. It’s obviously good though, they should do it to mix it up, but it’s not going to win you a whole series. Olli: How difficult is it to respond correctly to a three rax when you scouted a two rax, like you did against INnoVation? Serral: Against two rax you would normally like to get the roach warren or just build a spine, but when I saw the double barracks I actually skipped the spine and went for double queen instead. You kind of want to see all the barracks, but if you only see two barracks you can obviously make one queen and one spine and that’s fine against everything pretty much. I’d say it’s very doable, the hard part is actually to micro the drones and lings and not losing too much to the first three marines. Olli: Is that what happened then on Cerulean Fall, where he did three rax again, did the first three marines do too much damage? Serral: Yeah, in this game I chased him a little bit too much and lost too many drones, I probably lost like nine drones because I chased him a bit much even though my spine was already 90% ready when he went on the ramp, so that wasn’t too good by me and I pretty much realized instantly it wasn't a good move. I actually don’t have too much experience against proxy rax because no one uses them in practice... I guess I need to ask souL to do some against me. Olli: Some people at this tournament have said that Terran is pretty strong right after this patch, do you think that’s true? Serral: It’s stronger for sure, but I don’t think it’s overpowered by any means, I think they just got more options. Now it’s not only tanks, you can play widow mines as well and uThermal already said there are some kinds of mech style, though I am not really sure how viable they are yet. Maybe if you give him some more time he can make it a very nice mech style. So yeah, it’s just more options for Terran I feel like, which is good. Serral: Nah, it’s not a battlecruiser build really, it’s mainly banshees, but he has one battlecruiser variation as well, but… *laughs* that’s not good in my opinion. But mainly it’s cyclone banshee with armor upgrades, it worked against Reynor pretty nicely, I kind of saw those games and then played against him, but I can't say much about the build from those games because I won mostly due to the early games. Olli: TaeJa actually gave you a really good series, were you surprised at all by that? His MMR is still 'only' around 6,6k and he just started playing again three months ago. Serral: Hmm, yeah he was playing pretty well, but I felt like I was making mistakes as well and was distracting myself a bit. I think he’s probably already in the top 10 of Korean Terrans, but I don’t think he’s quite there with the really top Terrans just yet. I think what I did wrong was that I gave him a bit too much freedom, because he likes the kind of game where he has control on the map and can move around to play the long game. I should have played a little more aggressively, that would have been the way to kill him. And that’s actually how I won it with the mutalisks, because he was struggling a bit with defending against them. Olli: Are you going to Korea for a GSL next year? Olli: No, no the normal GSL seasons! Serral: *gives us a big smile* Enough of this! Olli: Damn, you dodged that question like a pro. But if you didn’t have to stay in Korea for so long, would you do it? Serral: To be honest I feel like it’s dumb in the first place that we can play the tournament, but that’s not the reason why I won’t go… yeah, I’d probably go once if it was a shorter event, I just kind of don’t want to be there for two months. One month would be the max I would want to be there. Olli: Do you think the heavy preparation based format would be something that suits you? Serral: Hmm, I don’t think the very heavy preparation style is necessarily good for me. I am not sure. I think I’ve never played in such a tournament. Obviously BlizzCon had a group stage I had a pretty long time to prepare for and that went pretty well. I would say maybe heavy preparation for just one opponent might not be the best for me. Olli: Do you want to say something to your fans? Olli: Oh, when will that be? Serral: No one knows that actually. *laughs* Nah, it’s going to be at the end of the month. Olli: Last question! Now that the tournaments are all done, how are you planning to spend Christmas? Serral: We always spend Christmas the same way, every second year we go to our aunt’s house and every second year we stay home, so this year we are going to go to our aunt’s house to just spend it there, be with the family, nothing super special. Thanks Serral to tell the truth ! Shots fired at regionlock, take note Blizzard. As much of a serral/foreigner fanboy that I am, I agree with serral about going to GSL. The first time it happened it was cute and I was hyped but then it started to not feel so good. If Serral goes there and actually wins, wouldn't that be like kicking the scene that is already down? I'd rather we closed GSL for outsiders and organized more global events, maybe even something more long form over a few season I dunno. That transcribed laughter fools me to think Serral as a fellow human being (instead of a machine, or something divine). I think the length of a regular GSL tournament is a valid excuse for not attending. Still would be cool to see him play more with the people close to his level. Thanks for the great interview Olli and Serral! Hmmm, I'm both slightly disappointed and a little worried. I'd have loved to see Serral play in Korea instead of him destroying WCS once again(another 4/4 may or may not be possible, that's tied to Serral's condition and Reynor's growth, imho); moreover, with Terran being so strong this patch i fear training in EU could not be enough to prepare for the likes of Maru and TY. It would be amazing for him to win the titles he still misses such as IEM and WESG. Really nice interview. Totally understandable that he doesn't want to waste 2 months in korea for 1 tournament. 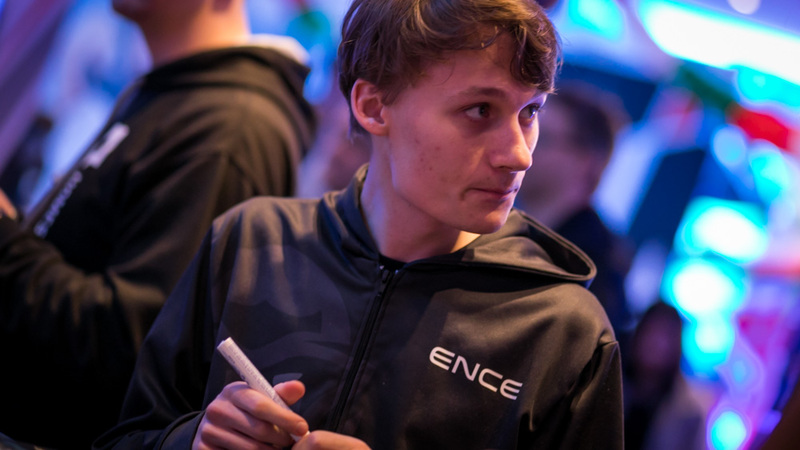 It will be interesting to see will Serral's dominance continue in 2019. Not just one, there is Super Tournament(and WESG definitely closer to Korea xd). So koreans beating foreigner at HSC on old maps is now terran so strong? Uthermal beating Raynor, Bunny suddenly becoming super strong, Zest randomly dropping maps to Terran while every Zerg but Serral(and Bly, given his usual level) severely underperformed it's not just koreans beating foreigners. That doesn't mean that Terran are op(just stronger) and Zerg are weak(just probably weaker) this patch, as we need time to properly assess the new patch. From Serral's(and every top Zerg's) perspective, WCS is a weaker field to train when Terran become stronger than before and Zerg do the opposite whereas Korea should be a better environment given these conditions. I'm getting worried, soon he won't be faceless anymore, his SC2 magic may go away. Just remember what happen to Neeb went he changed his name to something else than a fire truck and started to sometime say he wasn't an awful player, he still has not recover. So the disrespect is saying that Taeja still isn't one of the top Terran? Or that Serral was confident he could beat Inno in macro games losing the first due to him playing bad with mutas? Your only problem is that a foreigner is beating Koreans. You'll always find something bad to say about foreigners because you're biased. You're so biased, in fact, that when Serral says the exact thing you've been preaching, that it's stupid that foreigners can play the GSL but Koreans can't play in the WCS, all you can do is call him arrogant because he doesn't live up to some imaginary standard you've just invented.